Spanaway, WA arborist knows that trees can add beauty to any property. However, tree care is also important and a certified arborist can readily help in that. 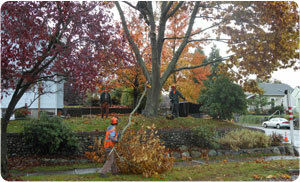 Trees make the place look grand and an arborist helps in tree care and maintenance. Trees also require support for their existence and a certified arborist can provide that. To get assistance of arborist Spanaway, approach us at Hunter's Tree Service. Our company has been providing tree care services since 1986. Our team of certified arborist can help you look after your trees in the best possible way. Count on our arborist Spanaway since. Our arborist can advise you on getting more yields from fruit bearing trees. Our team of arborist Spanaway have knowledge about all types of trees. Our arborist Spanaway can easily diagnose tree diseases. Our arborist prunes big trees to look better. Trees that grow around utility cables can be skilfully handled by our arborist. Our certified arborist is experienced to take care of damaged trees. The team of our certified arborist Spanaway can help you plant new trees. You can get the best advice from our certified arborist Spanaway. Our certified arborist is professional tree climbers. Certified arborist of our company can also inspect trees that are damaged in storm. 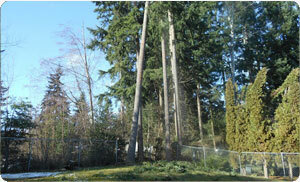 Why Choose Us for Tree Care Services in Spanaway? Our tree care services aim to give a long life to trees. Tree care Spanaway provided by us is the best in the city. Our tree care experts can consult on legal issues. 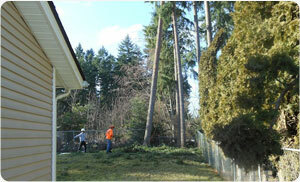 Our tree care Spanaway services are reasonably-priced. For expert tree care services, residents of Spanaway can call arborist of Hunter's Tree Service at 253-777-1938. Our certified arborist will be happy to help you anytime.